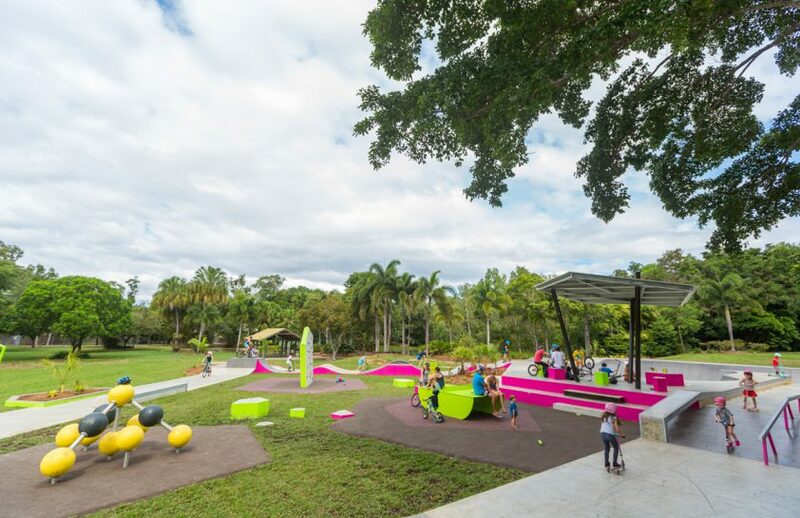 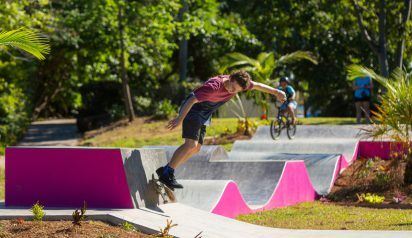 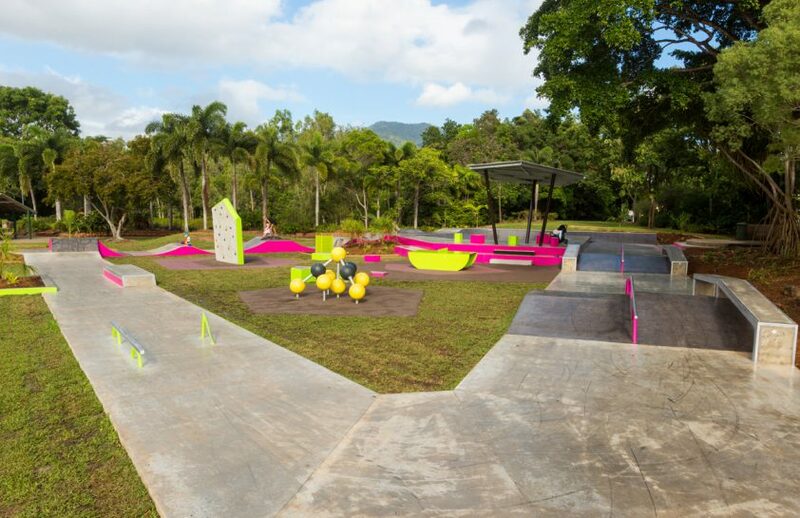 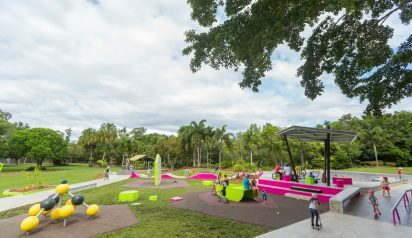 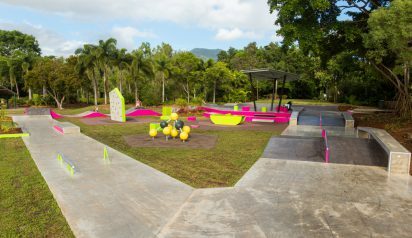 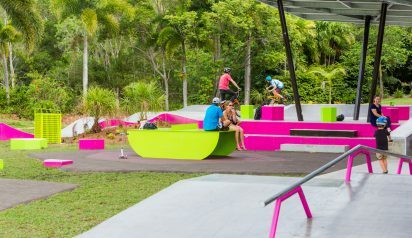 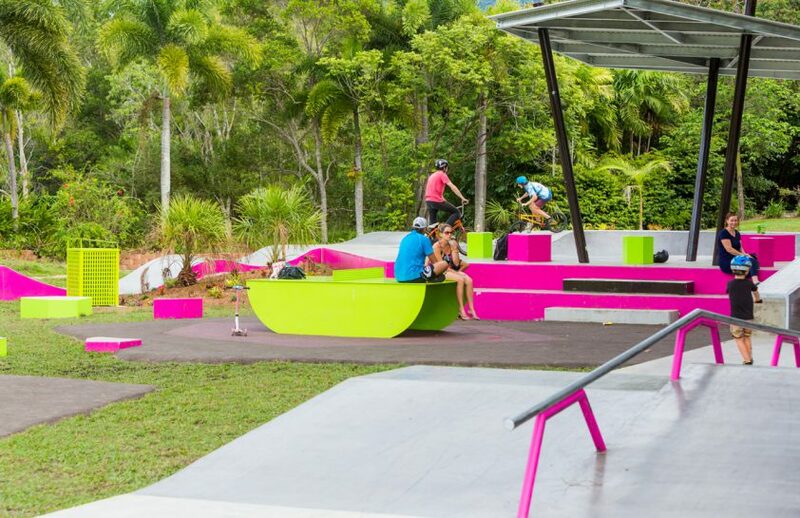 Inspired by the tropical setting and local flora and fauna, the Coast Watchers Youth Space in Trinity Beach, north of Cairns is a unique and vibrant space with something for everyone. 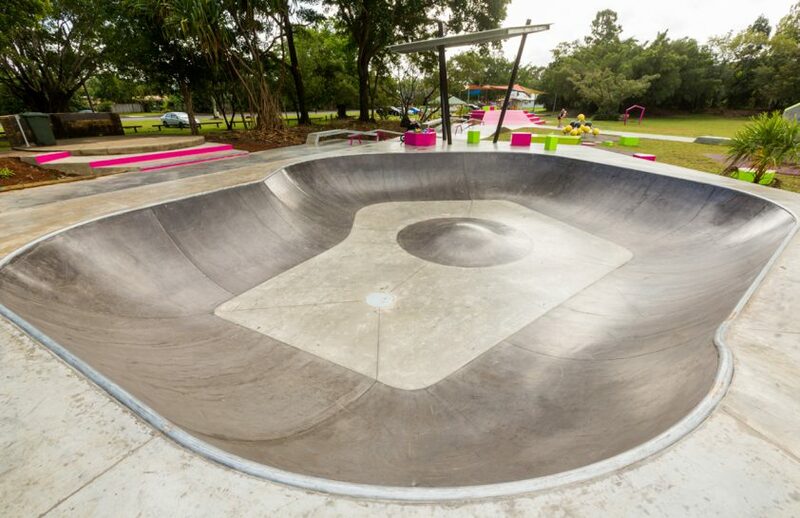 Four key skate zones were created to allow higher capacity of use at busier times. 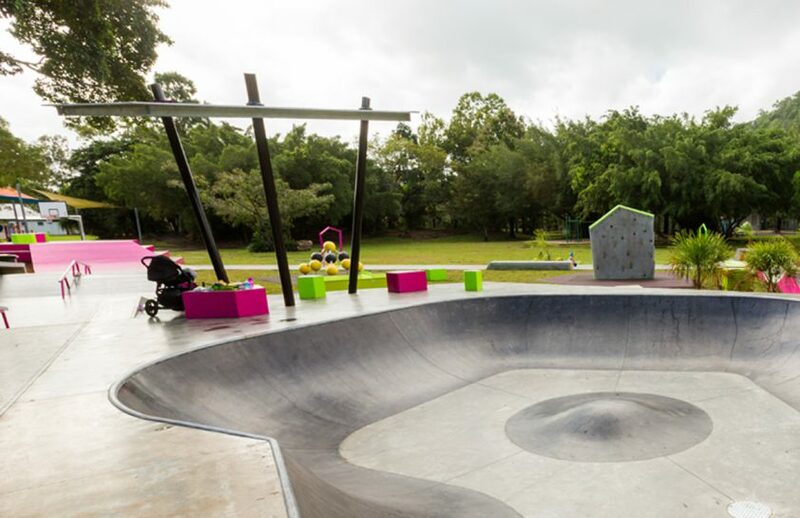 Skill progression for all users is catered for throughout the facility. 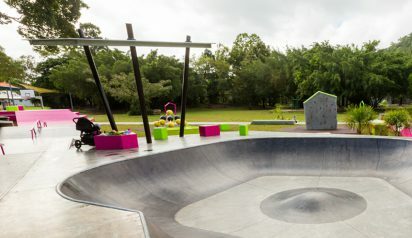 Beginner obstacles such as a pump track allow users to learn to roll in and pump. 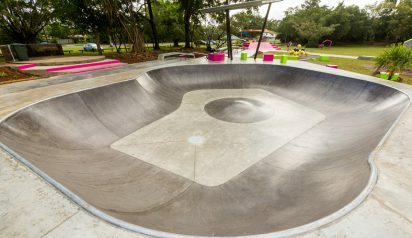 From there, they can then progress onto a mini bowl where they can develop their skills from being a beginner to intermediate rider. 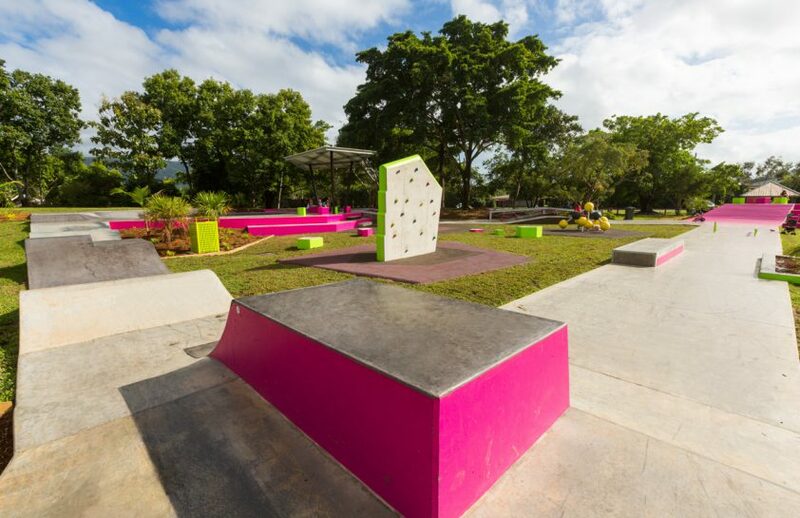 For the beginner street skater there are obstacles for users to learn to ollie and push at a low pace. 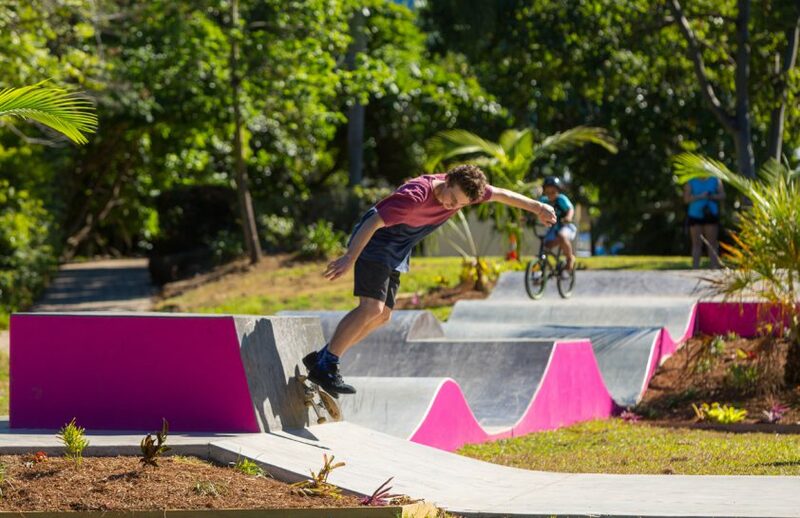 While a more advanced high pace run has rails, hubbas and a kicker to kicker gap. 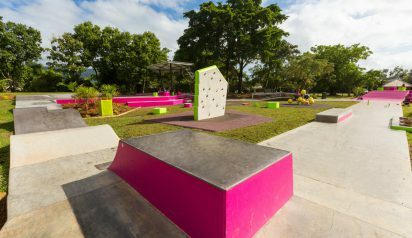 At approximately 950m2 the multi-functional youth space also features a half court, bouldering wall, ping pong table, parkour feature, informal soccer goals, jumping stones along with shelter, seating for spectators and landscape integration.